Our topic is one of the hottest buttons in biblical studies and is of enormous public interest. One sign of this public interest is that two books on the subject were recently reviewed on the front page of the New York Times. When was the last time you can remember a book being reviewed on the front page of the New York Times? One of those books was written by Dom Crossan, who is one of our lecturers. 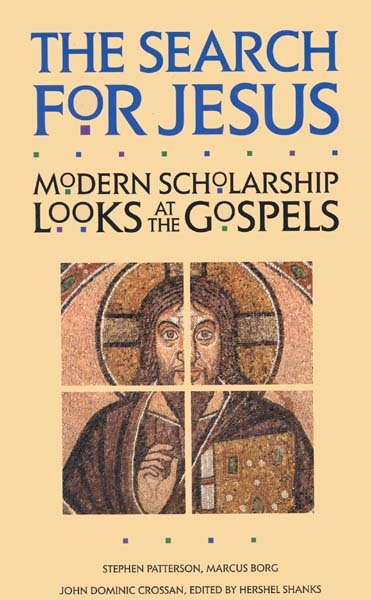 We have given this symposium a rather exciting subtitle, “Modern Scholarship Looks at the Gospels.” But scholars refer to the subject as historical Jesus studies. In short, what do modern historians say about the birth, life and death of Jesus? Critical scholarship of the New Testament is barely 200 years old. The first book to deal with the New Testament in a critical scholarly way was published in 1778. It was written by a German scholar named Samuel Reimarus. Interestingly, it was not published until ten years after the author died, and even then, it was published anonymously. This gives you some idea of how dangerous it was to engage in this kind of inquiry at that time. The fears of the publisher and the author’s family were not entirely unjustified. At about the same time, Thomas Paine’s publisher in England went to jail for publishing The Age of Reason. And in 1697, an 18-year-old Scottish student was hanged for claiming that Ezra, rather than Moses, wrote the Pentateuch. The most famous work in the history of historical Jesus studies is, of course, The Quest of the Historical Jesus by Albert Schweitzer, published in the early 20th century. And that really marks the second phase in historical Jesus studies. But scholars soon decided that Schweitzer had been unsuccessful in his quest and that the task was impossible. We could not know the historical Jesus.